Orient, size, and style tabs any way you like. 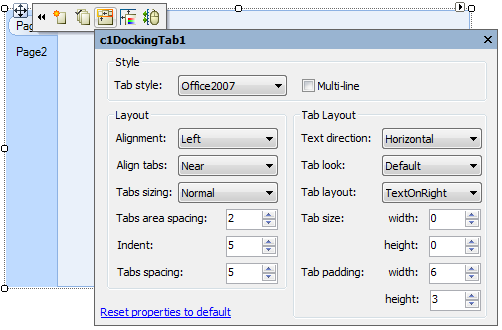 You can even create docking and floating tabs with ComponentOne DockingTab™ for WinForms. 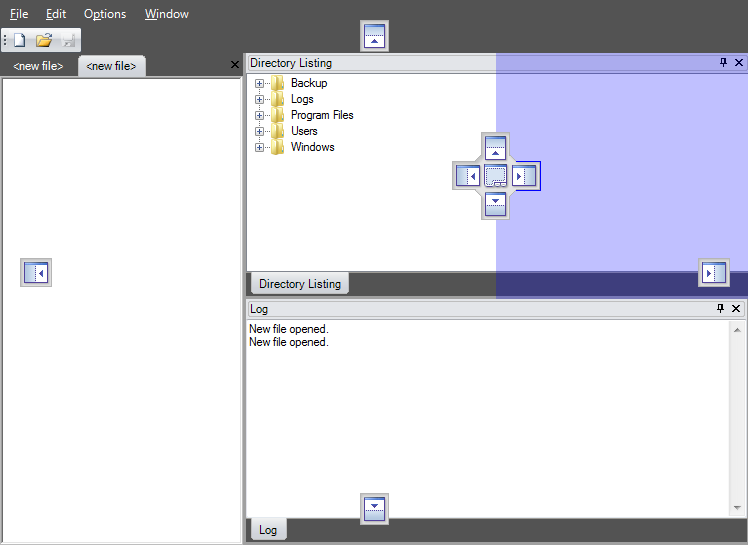 DockingTab supports the common docking diamond interface made popular from Visual Studio. Just set the DockingStyle property of the CommandDock control to achieve this behavior. DockingTab supports autohiding when placed inside a CommandDock control. This means tabs can be minimized to any edge of the container and slide in or out when the user clicks on them. With the easy-to-use editors, you can quickly edit tab appearance like the tab style, size, and layout. You have control over the behavioral properties for docking, floating, closing, and reordering tab pages. Give end users the ability to close and move tabs with the CanCloseTabs and CanMovetabs properties. 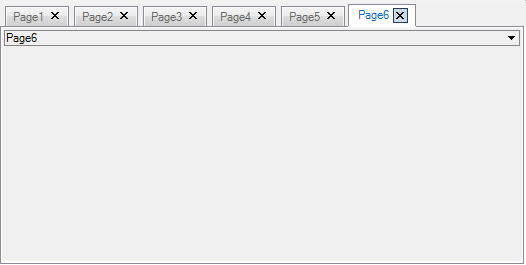 Display a close button on each tab or on the caption bar. Just set the CloseBox property to your desired position for the close button. Show all available tabs in a drop-down list so users can quickly navigate. Simply set the ShowTabList property to True. 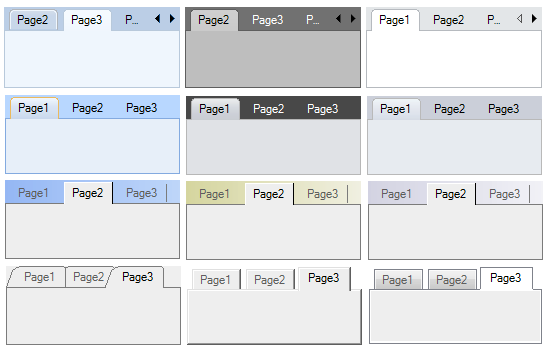 Simply hide the tabs of DockingTab to create multi-page forms like wizards. The benefit of using DockingTab is that you get full, drag-and-drop design-time support for each tab page, making it easy to have mulitple forms contained in one tab. Add more style to your tabbed interface with DockingTab. Choose from 12 visual styles, including Office designs. 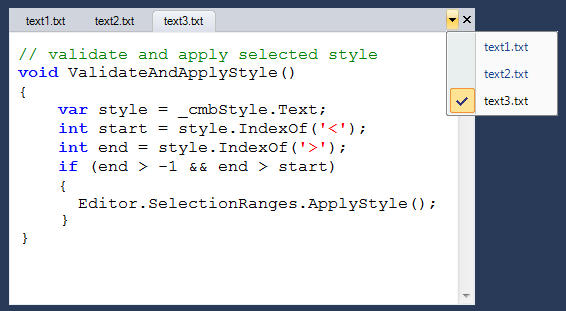 You can also set the TabStyle property to get sloping or rounded tabs.